As the number of consumers with mobile devices continues to rise, so too does the demand for reliable internet access. 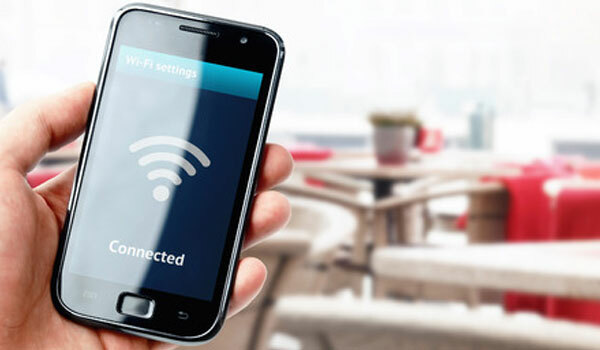 Out of necessity, many businesses have adopted or will adopt some form of public WiFi to satisfy the needs of their customers and employees. Unfortunately, nearly all sources of public WiFi are unsafe, not unlike the numerous other services businesses offer. Frequently set up by inexperienced owners or their employees, these networks are highly vulnerable to hackers. By utilizing software such as sniffing programs, cybercriminals can steal data from any unprotected device connected through the network. Additionally, a number of businesses take advantage of this poor security to monitor habits of those using their networks. This is done semi-legally by requiring users that connect to agree to the terms of service. Lastly, a select few networks are designed to serve as traps that redirect users from real pages and onto malicious ones. Protecting yourself from malicious networks is paramount to avoiding data theft. The first skill to have is the ability to identify fake WiFi networks. Take note that real business networks usually come with a sign-in page, terms of service, and may even require a basic password that is publicly visible. Ask an employee if you feel uncertain and always air on the side of caution. Note that the terms of service for network usage are basic but usually offer no real protection from threats. At worst, they ask you to surrender the rights data regarding your activity while connected. If in doubt, you may be better off using your data plan. Always remember that the easier it is for you to access a network, the easier it is for criminals to infiltrate. There will be times when you absolutely must use WiFi. Frequently this is because of poor carrier connectivity, a weak signal or a slower plan. Reliability may also be a factor, particularly when utilizing data intense activities (video calls, for instance). Whether you connect with a computer or mobile device, the answer is the same. Utilizing a Virtual Private Network (VPN) is the most definitive way to ensure your online session is protected from any form of outside interference. A VPN works by utilizing a third party server between you and the rest of the internet. This server is encrypted and in connecting, your data and activities become similarly inaccessible to third parties. For purposes of identification, your IP address is also hidden and the remote server’s is used instead. This can also be beneficial for accessing geographically restricted content or for running SEO tests in other locations thanks to the ability to actively change your device’s assumed location. For a more in-depth explanation about VPNs and their application for public WiFi, we recommend reading this article by Secure Thoughts. Although a VPN is one of the best tools available for improving security over public WiFi, no single method is perfect. You may also wish to consider limiting your website access to more secure pages (those that begin with https:// rather than http://). Apps can also be a source of contention. The more information an app has access to, the more personal information is likely to be leaked as a result of an unsecure connection. Use caution in which permissions you allow and what apps you use in a public space. Keep all software up to date. Outdated apps and programs may exhibit vulnerabilities that hackers can exploit to bypass any other form of security. Also use caution when accessing accounts on any unfamiliar devices and avoid doing so if possible unless you can personally verify the security of the device. Realize that email is generally not the safest place to share personal information or data. As you may be unable to verify the recipient’s security protocols, it is best to assume the worst and plan accordingly. For important messages, consider the use of encrypted email. At some point it is inevitable that you will need to make use of public WiFi. Although there are risks involved, proper measures will minimize the danger. Adequately prepared, you should have no fear of utilizing otherwise unprotected networks. About the Author: Nathan is a writer and blogger who has focused on cybersecurity issues for some time now. He hopes that you will be able to use this information to make more informed decisions about online privacy and data usage.